'Give me your buns and your biscuits! Give me your chocolate clairs! For I am the Rat of the highway, and the Rat Thief never shares!' Life is not safe for the other animals, as the villainous Highway Rat gallops along the highway, stealing their food. Clover from a rabbit; nuts from a squirrel - he even steals his own horse's hay. Will he finally meet his comeuppance, in the form of a cunning duck? 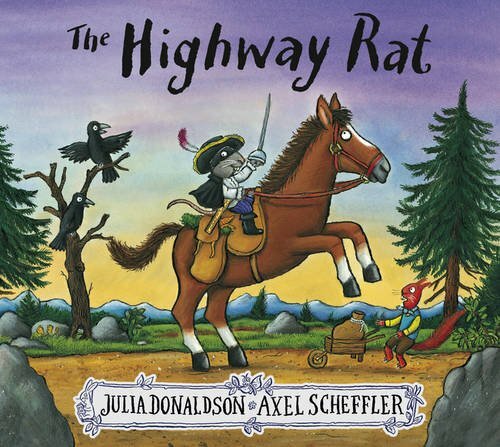 A fabulous, rollicking rhyme, in the style of the famous Alfred Noyes poem, 'The Highwayman', from the authors of 'The Gruffalo' and 'Zog'.